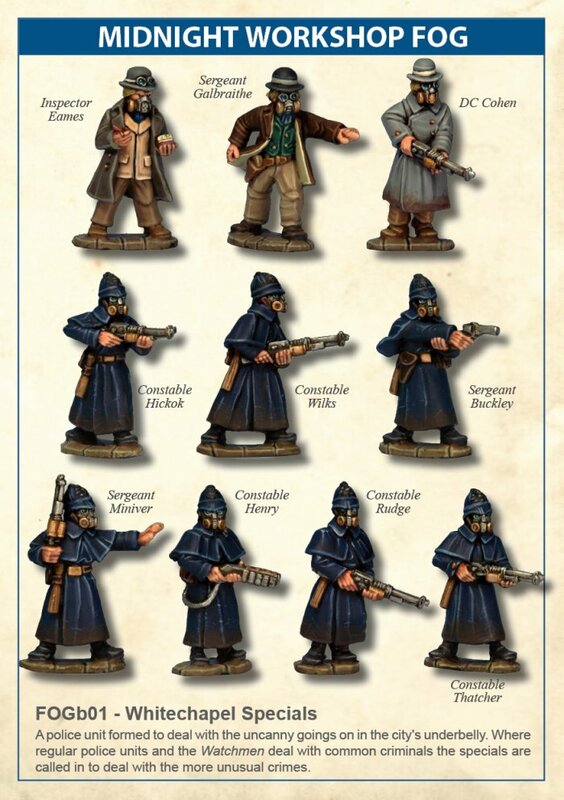 The "Whitechapel Specials", a police unit formed to deal with the uncanny goings on in the city's underbelly. Where regular police units and the Watchmen deal with common criminals the specials are called in to deal with the more unusual crimes, anything from escaped Martian prisoners of war, the risen dead or just your common garden demonically possessed. The constables are equipped with the latest weaponry and rubberised coats and breathing masks to allow them operate in the city's more hazardous environments.